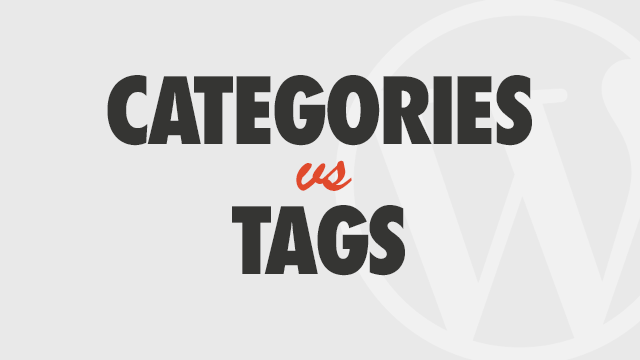 Categories and tags are fundamentally different and should never copy one another. This tutorial walks you through the basics of planning out your post structure to avoid common pitfalls of getting the two mixed up. Be sure to view the following tutorials on the Post Editor and Creating Posts to understand how to get the most from the editor screen. Categories help you group your content into common, semantic topics that make it easier to navigate and manage. Posts should only belong to 1 or 2 categories at most. Tags can also help you organize content and boost navigation, but tend to be used mainly for searchability and SEO. Tags offer much more freedom and allow you to relate posts together in a less structured way. For example, a post about Frogs may belong in the Frogs category, but may mention various things common in other articles or which have significance, such as the frog being endangered, reference an article in National Geographic, or quote a specific Scientist. In this case you wouldn’t tag the post “frogs” because it is already in the Frogs category, but you may tag it “endangered,” “national geographic,” and “Professor David Jones, UAC” so it automatically relates itself to other articles with those things in common. Like Categories, Tag names must be unique, so never duplicate a category and a tag (ie “Frogs” as a category and” frogs” as a tag). A post can have as many tags as you want. For a detailed overview of using posts and custom post types in your theme, structuring categories and using the Obox Post Options panel, refer to your Theme Documentation.